coney-480, originally uploaded by bucklesw1. 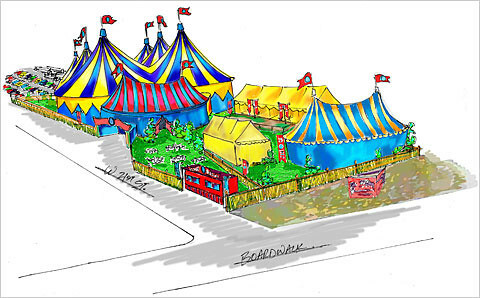 An artist's conception in the New York Times of the new tented circus that Ringling Bros. and Barnum & Bailey Circus will bring to Coney Island June 18, entitled "Boom-a-Ring". 3 Rings of Intermission, originally uploaded by bucklesw1. 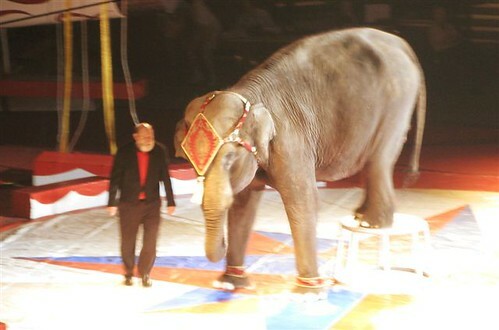 Hanneford Circus, Orlando, FL, Apl. 26, 2009 during intermission. One of 4 Hannerford units working that weekend. Flying Tuniziani, originally uploaded by bucklesw1. Robbie & David Donnert 1, originally uploaded by bucklesw1. Robbie & David Donnert 2, originally uploaded by bucklesw1. David Donnert & Chief Bear Paw 4, originally uploaded by bucklesw1. David Donnert & Chief Bear Paw 4 ...The horse and act was originally Gaylord Maynard's. Bones Craig & Judy, originally uploaded by bucklesw1. Smith Cannon 1, originally uploaded by bucklesw1. 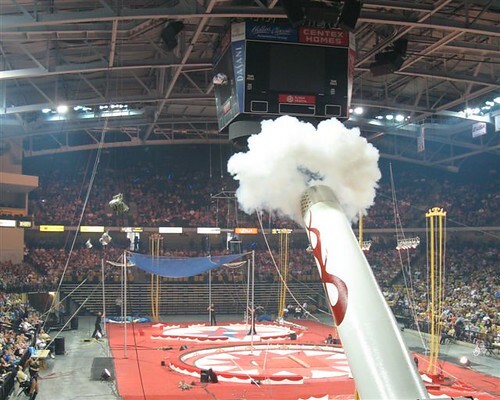 Smith Cannon 2, originally uploaded by bucklesw1. Smith Cannon #2, notice how close he is to the score-board. Side Show Bally in front of the arena, originally uploaded by bucklesw1. Protesters in front of the arena, ignored by most circus patrons. I know that your last email to me stated that you, as well as your elephants, were retired. I hope that you are enjoying it, as I too some day hope to find myself much less busy with work related items, and much more busy in cleaning fresh caught trout off of my fly rod. Till such time, I've had a request for 1-2 elephants for a one day engagement in New Hampshire on July 4th. Noon to 5pm. Elephant avail for some photos, maybe some rides, and if the elephant is presented in some type of performance, that would be nice but not mandatory. If you have any leads that you can supply, or would forward this note, that would be appreciated. Thank you for taking the time to read and review this email. !cid_X_MA1_1240867110@aol, originally uploaded by bucklesw1. 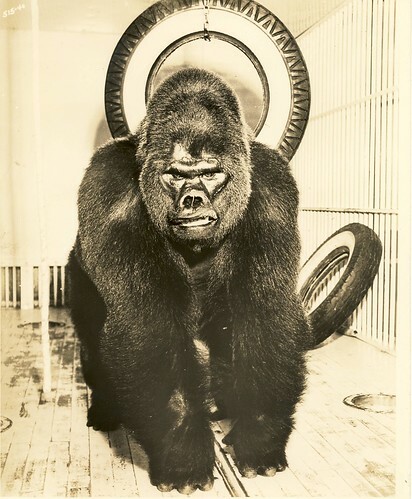 This is the original John Daniel gorilla that animal dealer John Benson acquired from Miss Alyse (or Alyce)Cunningham which he, in turn, sold to RBBB in 1921. 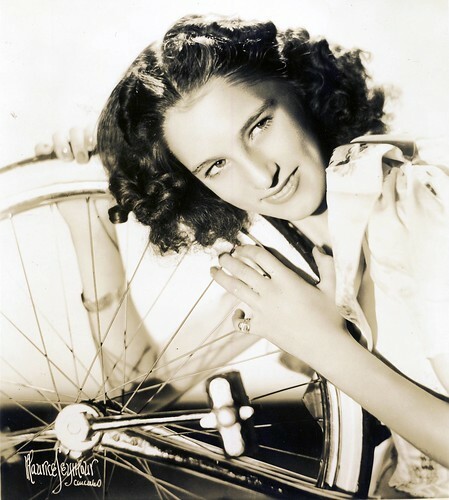 Benson was quite candid in stating that he did not tell Miss Cunningham that he intended to sell John Daniel to an American Circus and studiously avoided doing so. This photo would seem to show John Daniel in either the shipping crate by which he traveled to New York or in the apartment made especially for him in the old Garden. He arrived in New York from England on March 28, 1921, two days after RBBB opened there on March 26th. 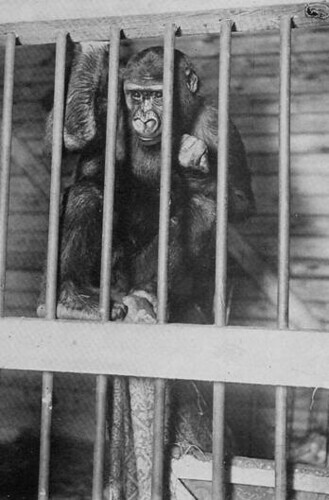 Accounts differ as to just how he was exhibited - -in a cage wagon (which this is not) or in the exhibition apartment built for him, apparently in the menagerie. As usual, the menagerie was set up in basement of the old Garden. There are several newspaper accounts which mention the apartment and the crowds seeing him there. This photo looks like the apartment. With his health noticeably failing, on or about April 15th he was removed from public view and put in a another specially arranged apartment on the second floor of the Garden overlooking 26th Street. In desperation the show cabled Miss Cunningham, persuading her to come to America to try and save the animal. She left immediately on the SS Celtic but did not arrive on time. He died at the Garden on April 17, 1921, thirteen days before the end of the show's run at there. On April 18th his remains were sent to the American Museum of Natural History. 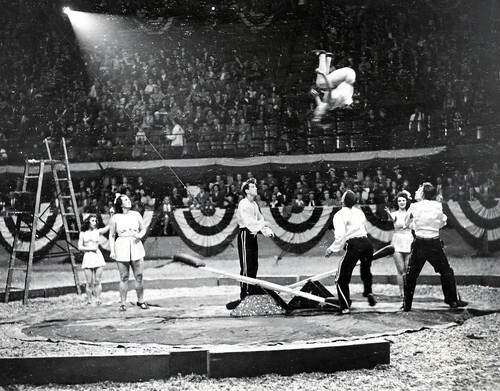 Thus ended the brief career of America's first circus gorilla. Some further info on how Miss Cunningham got him. When John Daniel first arrived in London from Africa in 1918, he was acquired by a big London department store for exhibition and sale in its pet department. The name of the store is not given but it was almost certainly Harrod's which did in fact have a large pet department. A certain Major Rupert Penny of the Royal Air Force spotted John Daniel at the store in the fall of 1918. 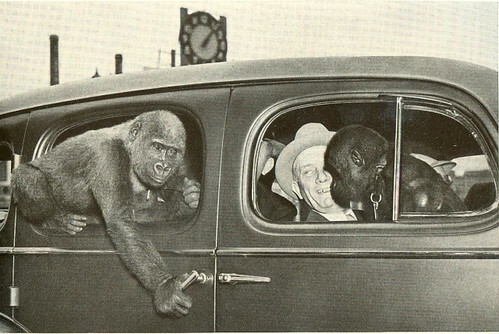 He bought the gorilla and took it to his home and, around Christmas, gave it to his aunt Miss Cunningham. 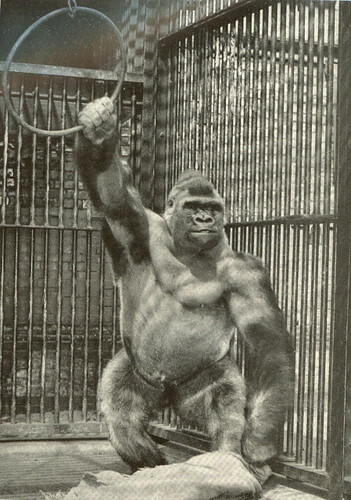 While John Daniel was with Miss Cunningham, arrangements were made to show him at the London zoo during the summer months. In the mornings she would take him to the zoo in a taxi. While there he was shown to the public in a big outdoor cage attached to the lion house. She would fetch him in the evenings and take him back to her home. Then John Benson came calling and the rest is history. !cid_X_MA1_1240867954@aol, originally uploaded by bucklesw1. This is John Daniel II, the second of Miss Cunningham's gorillas to join RBBB. He was on the 1924 show and made the full tour. However unlike John the first, the lady retained ownership and the show had John II on a lease arrangement. 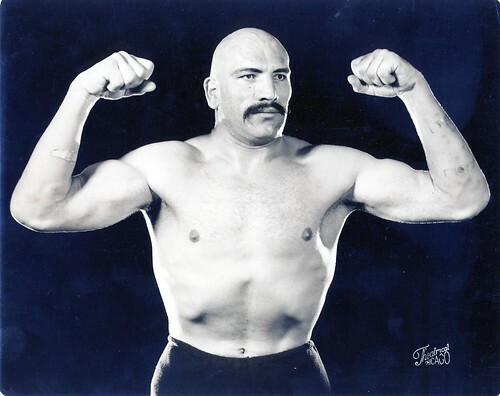 He was originally called Sultan or John Sultan. He had originated in Gabon and was acquired in 1923 by Miss Cunningham of London. Both of the John Daniels were western lowland gorillas, as was the famed Gargantua. John D. 2nd arrived in New York on April 24, 1924, coming over on the maiden voyage of the new steamship "Deutschland." That was just two days before RBBB closed its Garden run. This time Miss Cunningham came with her gorilla. Unlike John the first who rode the Atlantic in a cage crate, John II shared a stateroom with Miss Cunningham. As per usual practice back then, after the Garden date the circus went over to Brooklyn, this time for a three day stand. !cid_X_MA1_1240868080@aol, originally uploaded by bucklesw1. Miss Cunningham's arrangements for the exhibition of John II with RBBB during 1924 stipulated that he was to travel and stay with her and that included the hotels in New York City. 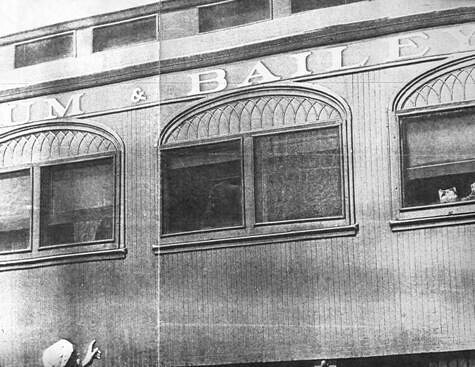 They were first at the McAlpin on Broadway and 34th St. When RBBB press agent Dexter Fellows arranged for the newspaper men to meet John II, it was at the McAlpin. While in New York John II paid a visit to the American Museum of Natural History where he was shown the mounted John Daniel 1st. Those who observed him at the Museum included the noted primatologist Robert Yerkes, Dr Gregory of Columbia University, and Dr. McGregor and Carl Akeley of the Museum. Akeley was the famed big game hunter and taxidermist who provided the life-like African mammals displayed in the Museum. This photo shows him on the parapet of the roof of the McAlpin Hotel. Miss Cunningham took him up there to romp and play. I guess he was OK on that ledge but it was straight down - -25 stories to the sidewalk. Looks risky to me. 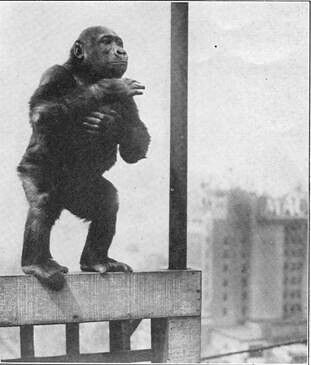 Daniel 2nd was the first gorilla to make it to the to top of a New York skyscraper. 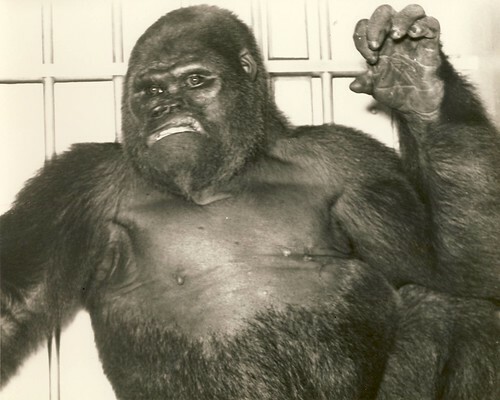 There would not be another until King Kong in 1933, the former for real, the latter a Hollywood illusion. At the Garden, Norwood's description of the way John 2nd was exhibited suggests an arrangement similar to that for John 1st. 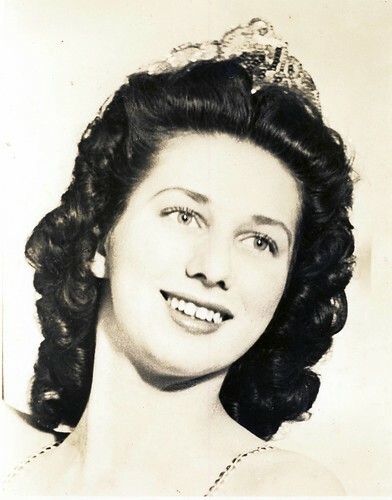 Said Norwood - - "With Miss Cunningham in attendance, he was exhibited from a vantage point just in front of a door that led into a room. It was in this retiring room that he had his afternoon naps once the crowd had left the menagerie to see the ring performance." !cid_X_MA1_1240868120@aol, originally uploaded by bucklesw1. Here we see John Daniel 2nd peering out the window of the sleeper compartment he shared with Miss Cunningham on the 4th section of the circus train. The picture is none too clear but you can make him out. Reports said he loved to ride the train looking out the window. Gorillas have a very pungent body odor, and it is likely that those riding in the same car were none to thrilled to share it with the gorilla. Each day Miss Cunningham took J. D. 2nd by taxi from the train to the lot. !cid_X_MA1_1240868458@aol, originally uploaded by bucklesw1. This open air menagerie photo, taken in San Antonio on October 24, 1924 by the late Tom Scaperlanda (1895-1971), is the only one I've ever seen showing at least a part of the layout for exhibiting J. D. II. As you see it is sort of like an aviary with a tarpaulin from a cage wagon around the top and another around the bottom. From this I cannot tell if the canvas extended like a roof over the entire enclosure. We can only assume that the gorilla used the aviary as a play pen of sorts. A word about Tom Scaperlanda. He and his brother Pasco were orphaned by the great Galveston hurricane of 1900 which killed upwards of 10,000 and was American's all-time worst natural disaster. 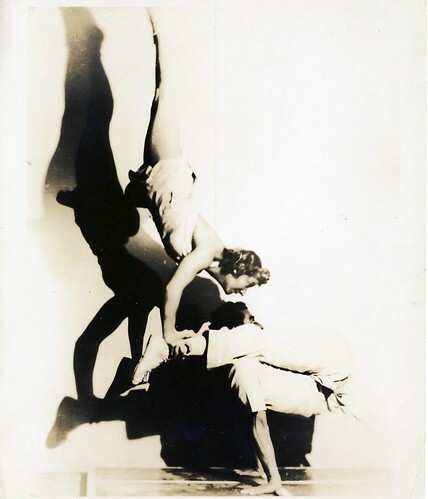 They persevered, however, and in time would become two of our most noteworthy circus fans and historians. Settling in San Antonio they were very active in circus matters, noted for hosting train-side tamale and beer parties alongside the performers' sleepers the night the show was preparing to leave. Tom was a prominent San Antonio jeweler. The late Gordon Potter of St. Joseph, Michigan (a true gentleman on the old school), recorded more about the equipment and physical aspects of RBBB than anyone not connected with the show. His notes from the 1920s -1940s are invaluable. He saw the 1924 show and on July 5, 1965 wrote me about John Daniel 2nd as follows. "I recall seeing John Daniel II in the menagerie... They had an odd wagon for him. Believe it had an enclosed portion at the front where he traveled. Then the rear half was open (about like a jack wagon ) with corner posts. A trainer would have him out there and he had a swing that he sat in, I believe. [The setup] was near one of the end center poles in the menagerie top." Of course, we know he did not travel in this wagon - - the enclosed part was likely for props used to set up the display. I wish Tom Scaperlanda's photo (above) had shown the entire set up. Combing the picture with Potter's description means to me that the wagon sat next to the aviary (play pen) shown in the picture and out of sight to the right of this photo. The mesh sides of the aviary were probably loaded at night onto the flat part of the wagon for movement to the next stand. !cid_X_MA1_1240868532@aol, originally uploaded by bucklesw1. John Daniel II spent a lot of time in the backyard. Can anyone identify this clown? There is at least one more photo of the two - -likely the work of photographer Harry Atwell who took a lot of pictures when the show played Chicago. In 1924 RBBB was at Chi-town's Grant Park from August 15 through 24 - - a 10 day stand. !cid_X_MA1_1240868588@aol, originally uploaded by bucklesw1. Here we see the John Daniel II disporting himself in the backyard. Providing him with such wide activity was likely good for his health. That coupled with Miss Cunningham's constant companionship allowed him to complete the entire 1924 tour in good health. 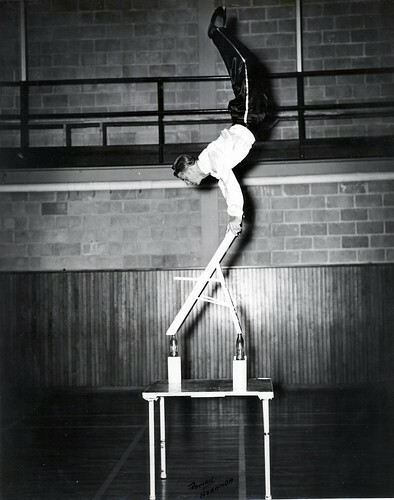 This image is from the circus collection of the Milner Library, Illinois State University, courtesy of its curator Steve Gossard. !cid_X_MA1_1240868653@aol, originally uploaded by bucklesw1. 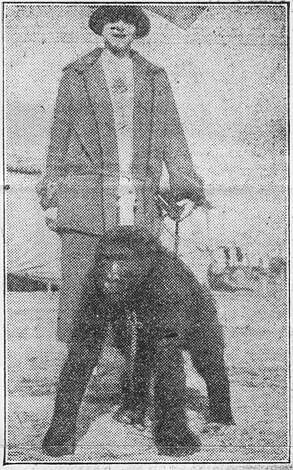 Miss Cunningham with John Daniel II in the RBBB backyard in 1924. 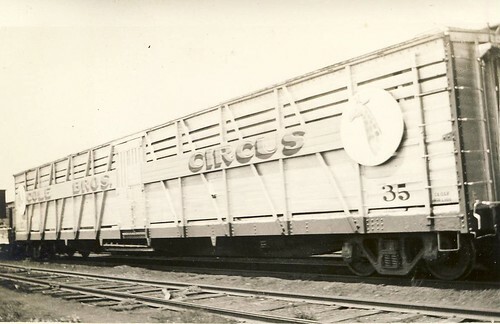 As soon as the season ended in Greensboro, on Nov. 2, 1924, the circus trains headed back to Bridgeport WQ. From there Miss Cunningham and her pet left the show and returned to England. The two were not away from show business for long, however. They were booked for the winter engagement of the Bertram Mills Circus in London's Olympia, beginning in December, 1924 and running into 1925. For that John Daniel II was brought into the ring on a light lead, the first time a gorilla had ever appeared as a part of a circus performance, though he did not do any tricks in the usual sense of that word. John Daniel II then toured the European Continent in 1925. He died in London in 1927. End of story! FSU floats the idea of closing the Ringling Museum! NP 156050 KEEL TAMIAMI 31/ FLO, originally uploaded by bucklesw1. The state Legislature and Florida State University, which respectively fund and own the museum, have entered into a game of brinkmanship over the fate of the internationally famous Sarasota institution. It's the largest university museum complex in the United States, with a world-class collection of Old Master paintings in its art museum. In addition, it includes Ca d'Zan, the historic home of its founder, John Ringling; the restored 18th century Asolo Theater; an education center, library and art conservation lab; and a Circus Museum considered one of the finest in the United States, all on 66 acres of waterfront. It is the only state art museum in Florida. One of the cost-saving ideas FSU has floated in response to the Legislature's threat of enormous budget cuts is to shutter it all, emptying the grounds and buildings of everyone but security guards. "Closing the Ringling would be a dreadful occurrence," said Sallie McRorie, dean of the College of Visual Arts whose responsibilities include the museum and the adjacent FSU/Asolo Conservatory. "But if the House budget is the final version, we're looking at overall cuts to the university budget of up to $77 million." Many believe the idea is a grandstand ploy to draw the attention to FSU's plight that the loss of, say, an apparel design program would not, forcing the Legislature to back down and find more money for it and other educational institutions. 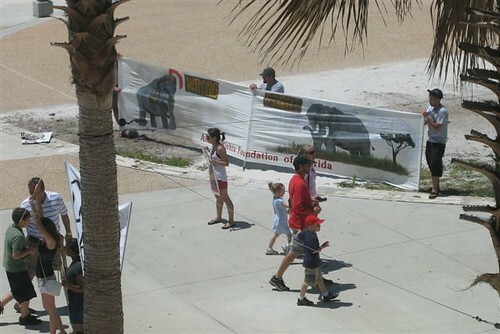 "We — our delegation," says Keith Fitzgerald, D-Sarasota, "would do everything to help the Ringling. But FSU has the discretion about where they would make their cuts. 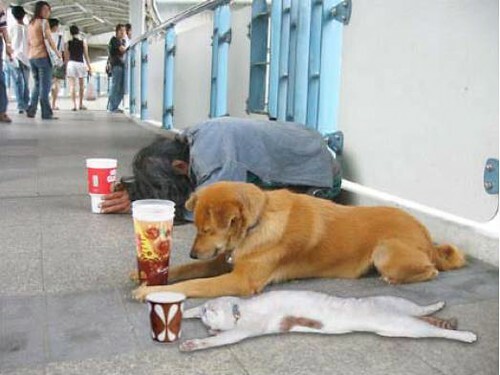 I believe they are trying to dramatize this." And the Ringling makes a valuable pawn because, unlike most programs that would typically be targeted for a shutdown, it is neither underused nor struggling. 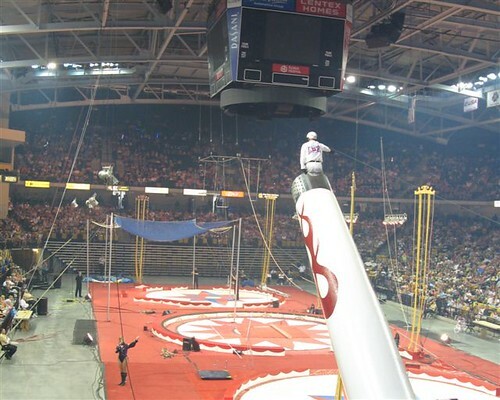 "We have never had a stronger year," said Ringling director John Wetenhall. 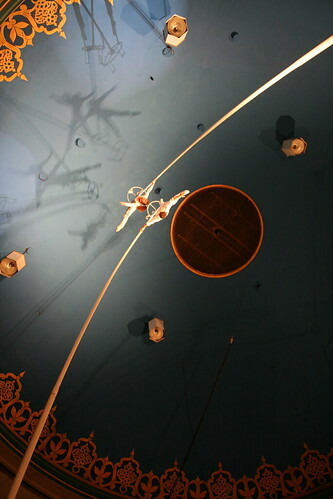 Ringling opened a fully-funded, $76 million expansion in 2007 with an endowment of $60 million. The museum raises more than half of its yearly $13.5 million budget on its own. Its attendance has climbed to about 300,000 annually, even in these tough times. Its members total about 10,000, very high by national art museum standards according to Ford Bell, president of the Association of American Museums, whose statistics show the average membership numbers for art museums to be less than 1,000. 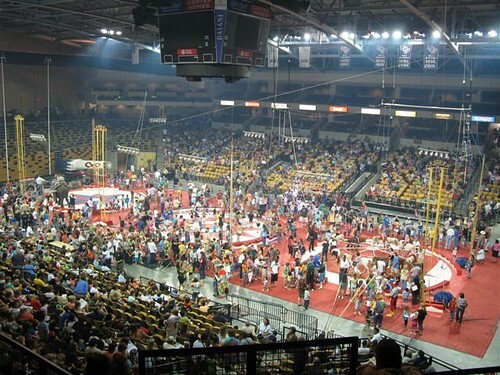 The Ringling recently received an $8 million gift to expand its Circus Museum. The argument to mothball the Ringling given by the FSU board of trustees is that it does not directly serve enough FSU students and so should receive lower funding priority. Closing it would save the $7.6 million that's allocated to pay for basics such as maintenance and utilities. "What I think they're missing," says Sandy Rief, chairman of the Ringling Board and a prominent Tampa attorney specializing in tax and estate planning, "is that the statute written when we merged with FSU in 2001 does not say anything about a mission to provide education at FSU although we do have an excellent educational program. I know there are no easy answers but we're fulfilling everything asked of us and more." The Ringling Museum, Ca d'Zan and the grounds have been owned by the state since 1936, the year John Ringling died and bequeathed the property to Florida to protect it from creditors. Despite its collections, advancing the Ringling — even preserving it — was never a priority of elected officials who could always be counted on to decrease the Ringling's line in the state budget in favor of their own interests. And because most potential donors knew it was owned by the state, they believed it was the responsibility of it to support the museum. They were already contributing through taxes so why give more? During John McKay's tenure as Senate president, he and then FSU president Talbot "Sandy" D'Alemberte brokered a deal in 2000 to transfer ownership of the museum to the university. That way, the museum's budget would be part of FSU's larger one and not subject to any adjustments by the Legislature. For that reason, museum leaders say they are still better off under this arrangement. Measures of an art museum's worth and stature are more than attendance and donations, even though those keep its doors open. One of the best indicators is who wants to borrow its art. 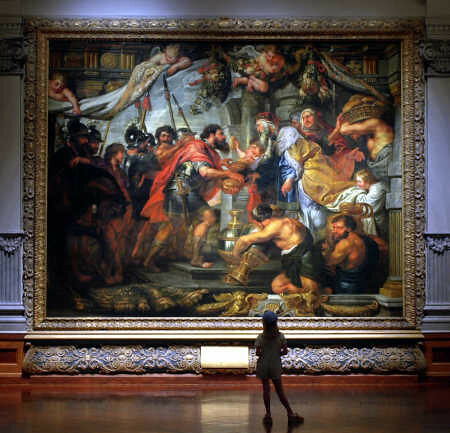 The Ringling gets hundreds of requests but is selective: The Louvre, the Tate Britain, the Vatican, the Royal Palace of Turin (Italy), for example, as well as top-tier U.S. museums. It has slashed its budget and reduced staff but still has an ambitious schedule. In October it hosts the Ringling International Arts Festival in partnership with the Baryshnikov Arts Center in New York. The five-day event will bring in classical and experimental music, dance and theater and debut original works from artists around the world. Upcoming special exhibitions include Venetian art of the 18th century and art of the gilded age. If no or little funding comes from the FSU budget, the Ringling cannot tap into its endowment beyond the 4.5 percent it draws yearly under FSU guidelines. Nor can it, under the terms of John Ringling's will, sell any of the art. (Doing so would also make the Ringling a pariah in the museum world.) Rief says the museum would probably cobble together the money needed to operate minimally. "Do I think they can close the Ringling?" he says. "Theoretically, yes. Realistically, no." The art museum: The collection includes several hundred examples of Renaissance and Baroque art; its most famous are probably four enormous 17th century tapestry works by Peter Paul Rubens. Ca d'Zan: The mansion designed by celebrity architect Dwight Baum for John and Mable Ringling in the 1920s, given a $15 million restoration in 2002, mimics a Venetian palazzo. Ninety-five percent of the original furnishings remain. The Asolo Theater: The museum purchased the 18th century theater in Italy in 1950, had it reassembled in Sarasota and used it for years for its popular repertory theater. After years of deterioration, it was restored and fitted into the new Visitors' Center, used for performances and lectures. 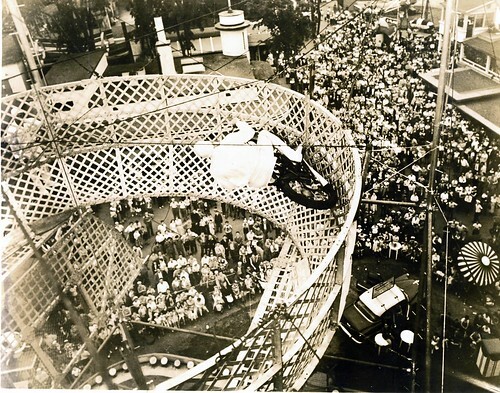 The Circus Museum: Ringling amassed a sizable collection of circus memorabilia during his long career as a big-top impresario. 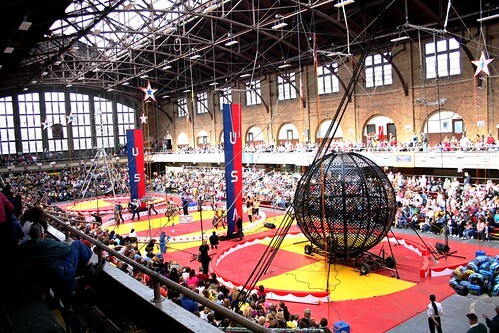 In 2006, businessman Howard Tibbals donated $5.5 million to build a new wing to house a hand-built scale replica of a circus. The museum is considered one of the top of its kind in the nation. The grounds: The museum sits on 66 acres on Sarasota Bay and includes Mable Ringling's rose garden as she designed and planted it. FlowerGirl, originally uploaded by bucklesw1. 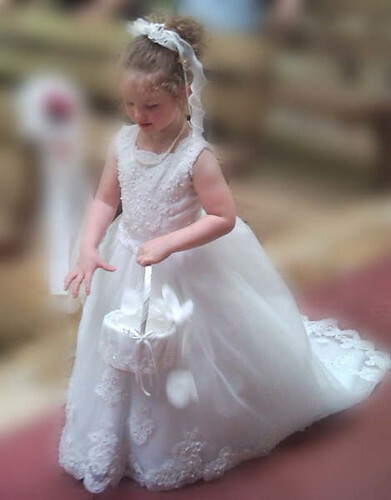 This is Grand Daughter Kay at her Aunt Tammy's wedding in Birmingham, Alabama last weekend. 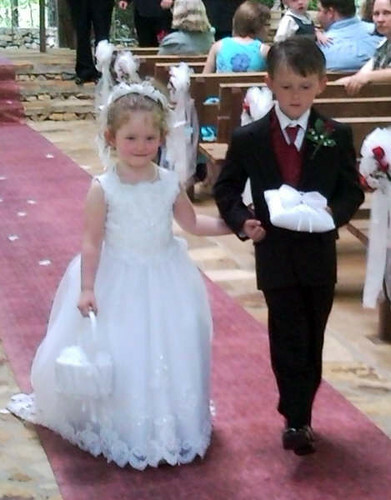 FlowerGirlAndRingBearer, originally uploaded by bucklesw1. Yesterday on her return I asked who this was and she answered, "My Boy Friend!" "I thought I was your boy friend!" She shrugged it off saying "Not any more!" IMG_3827, originally uploaded by bucklesw1. IMG_4486, originally uploaded by bucklesw1. IMG_4538, originally uploaded by bucklesw1. 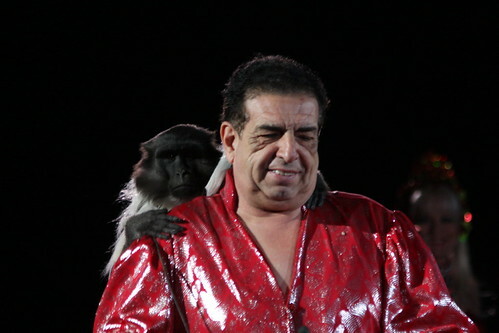 Davide Zoppe, poor guy's always got a monkey on his back. IMG_5287, originally uploaded by bucklesw1. !cid_DCC3A31832F011DEB551E8F0E7A0BE40@snj-us-pcwp-706_kodak, originally uploaded by bucklesw1. 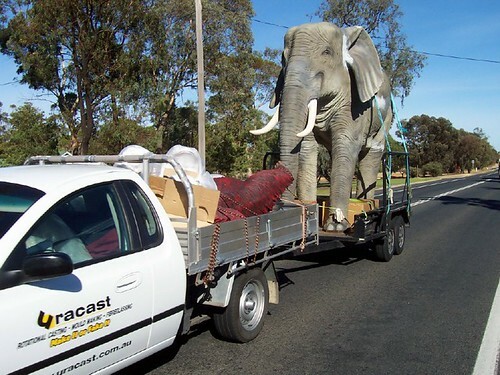 "Maybe this is the Zing Zang Zoom vanishing elephant on the way to the train!" !cid_0194C587BF354BE6A5D781EAFBA9983D@hpnx6125, originally uploaded by bucklesw1. Thanks to everyone who contacted their legislators regarding HR 669!!!! Opponents of House Resolution 669, known as the Nonnative Wildlife Invasion Prevention Act, proclaimed the bill "effectively dead" after a Congressional subcommittee hearing April 23 in Washington, D.C. The legislation could have halted trade in thousands of nonnative animal species in the U.S., including most birds, reptiles, fish and several mammals-hamsters, gerbils, guinea pigs and ferrets-commonly kept as pets. Pet owners and pet industry players throughout the country have been contacting their representatives in grass-roots opposition to the bill. The hearing was held by the Subcommittee on Insular Affairs, Oceans and Wildlife, chaired by Rep. Madeleine Bordallo, D-Guam, who wrote the bill. The hearing record is being held open for 10 days for responses and for the panel to decide whether to proceed with the bill. But Andrew Wyatt, president of the United States Association of Reptile Keepers, called the hearing a "smashing success." "H.R. 669 is effectively dead," Wyatt said. "Two weeks leading up to the hearing, USARK mounted a grass-roots campaign of letter writing and phone calls," he said. "We swamped Capitol Hill with almost 50,000 letters that were delivered to subcommittee members." Wyatt added that on top of that, thousands of phone calls were made and e-mails and letters sent to subcommittee members. Marshall Meyers, CEO and general counsel for the Pet Industry Joint Advisory Council, testified before the panel as a representative of pet owners and the pet industry. "We support the development of a strategic, risk-based process to prevent the introduction of invasive species into the United States," Meyers said in written testimony. Invasive species are nonnative species that can be harmful if introduced into the environment. However, he continued, the current draft of the bill "does not adequately take socio-economic issues and risk management options into account" and would "require funds and staffing not currently available, nor likely to be available, to the U.S. Fish and Wildlife Service." Meyers said PIJAC is willing to work with the subcommittee to craft more realistic legislation that serves the public and affected industries alike. "We recognize the bill is by no means perfect and that changes will be needed to address various concerns before any legislation moves forward," said Rep. Bordallo, the chairwoman. "As it stands, PIJAC still has issues with points of this bill's impracticality or lack of clarity," Meyers said. "During the past few weeks I have received thousands of calls, e-mails and letters written by constituents in strong opposition to this bill," subcommittee member Rep. Henry E. Brown, R-S.C., said during the hearing. Later, Wyatt quoted Harry Burroughs of the subcommittee staff as telling him, "I haven't seen a letter writing campaign like this in 30 years! You should be proud of yourselves." Rep. Eni F.H. Faleomavaega of American Samoa, a bill co-sponsor, congratulated Meyers, PIJAC and the pet industry for the tremendous grassroots response that has been generated, noting that it is important to have input from constituents. Wyatt added that Faleomavaega said that the letters and phone calls hit them like a "buzz saw." "We're so proud of all the people out there who sent letters and e-mails and made phone calls," he said. No further action is necessary from pet owners and the pet industry, Wyatt said. PIJAC and USARK will continue to monitor the bill. Scan11609, originally uploaded by bucklesw1. Scan11608, originally uploaded by bucklesw1. Scan11607, originally uploaded by bucklesw1. Scan11601, originally uploaded by bucklesw1. "Isn't this one of the Zacchini ladies?" Scan11604, originally uploaded by bucklesw1. Scan11603, originally uploaded by bucklesw1. Scan11606, originally uploaded by bucklesw1. Scan11602, originally uploaded by bucklesw1. Scan11605, originally uploaded by bucklesw1. Scan11610, originally uploaded by bucklesw1. I recall reading back in the 1950's that JRN was bringing over an act from Europe similar to this when the show was still under canvas. You can see that when the apparatus reaches it's peak the bottom opens up. 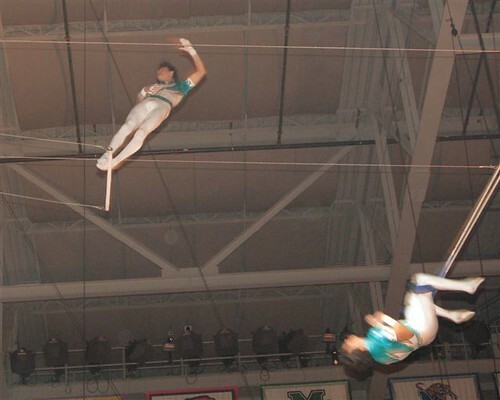 Obviously the rigging would have had to remain suspended during the entire performance. During his final revolutions, he would remove his jacket and cast it away in reckless abandon as the audience cheered. Legend has it that on his final performance the jacket became entangled in the rear wheel and he fell to his death. Fascinating story but more likely they couldn't get together on a salary or the logistics didn't work out. Maybe someone can shed some light on this. gorilla-1, originally uploaded by bucklesw1. 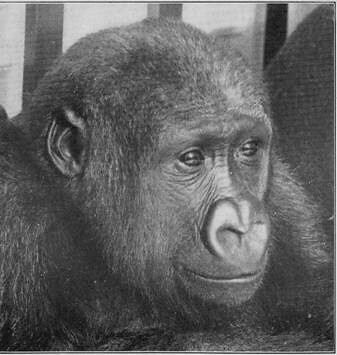 The August 1940 issue of NATIONAL GEOGRAPHIC has an article about great apes by William Mann, Director of the National Zoo in Washington, D.C. 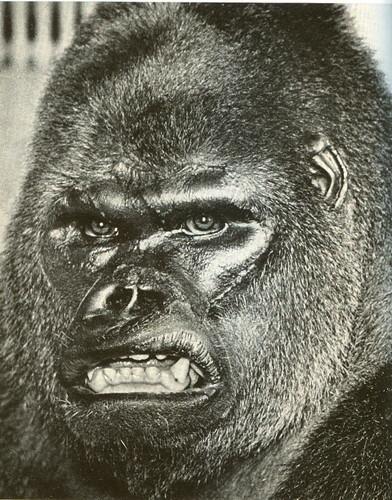 The article’s very first photo is this great head shot of Gargantua, which does not appear to have been airbrushed or otherwise enhanced by the Ringling press department. gorilla-2, originally uploaded by bucklesw1. 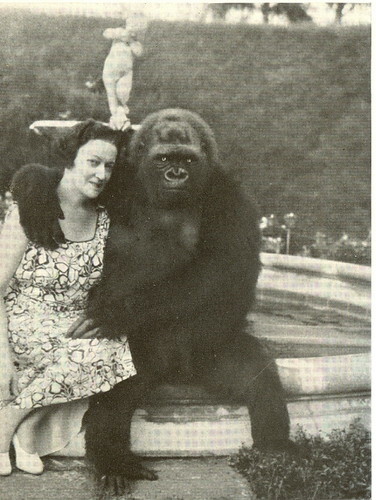 There was also a photo of Mrs. E. Kenneth Hoyt with her gorilla M’Toto which, of course, later ended up with Gargantua on the Ringling show. gorilla-3, originally uploaded by bucklesw1. 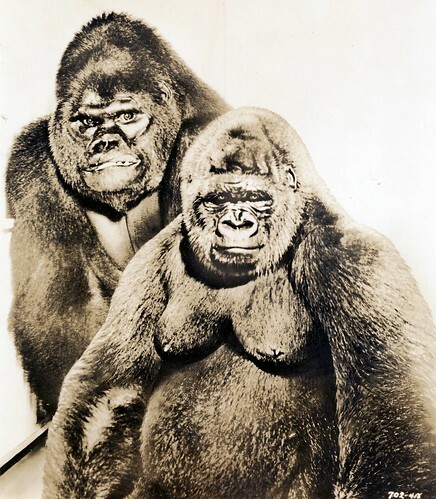 The article used an AP news photo of George P. Vierheller from the St. Louis Zoo with two little gorillas, a male and a female. (I would image that this was a staged photo op, since these two youngsters could probably have torn up the inside of that car in short order.) Richard Reynolds can probably identify these two and tell us more about their histories. 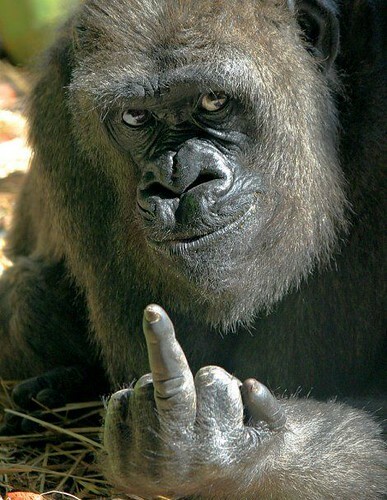 gorilla-4, originally uploaded by bucklesw1. 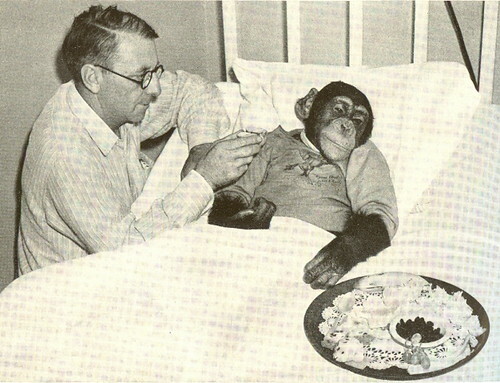 There was another news photos showing a young chimp that was treated for double pneumonia at Victoria Hospital in Miami by being put in an oxygen-tent. 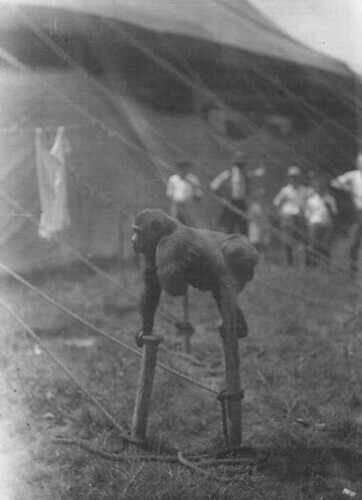 The chimp’s owner was identified as Edward Strassburg. gorilla-5, originally uploaded by bucklesw1. 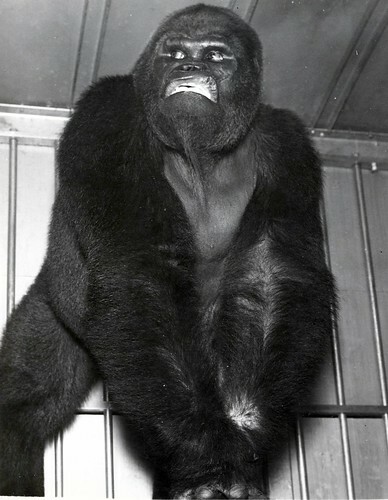 JOHN DANIEL - - Since 1918 this gorilla had been a London pet of an animal loving British lady, Miss Alyce (or Alyse) Cunningham. 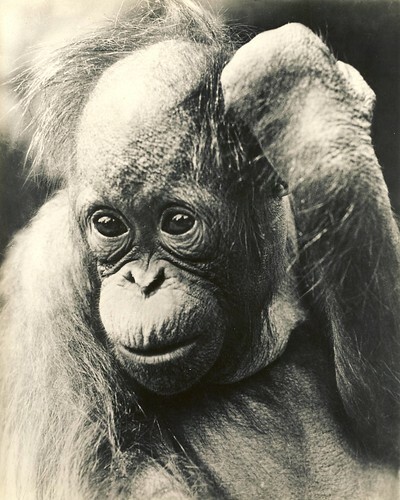 She kept him in her apartment and from time to time showed him to the public in the London zoo. He proved that gorillas could survive given proper care and attention. Through trial and error, patience and perseverance Miss Cunningham learned the nuances of gorilla keeping. Miss Cunningham’s methodology was later replicated by the original owners of both Gargantua and Toto. Right away he began to deteriorate and failed to survive the Garden date, dying there during April. His remains went to the American Museum of Natural History where they were received on April 18, 1921 and assigned catalogue no. 54084. However, that was not the end of Miss Cunningham’s gorilla story. JOHN DANIEL II - - In 1923 she got another young male from Gabon. He was initially named Sultan and later John Daniel II. He too came to America and toured with Ringling –Barnum throughout its 1924 season. This time Miss Cunningham came as well. She literally lived with him throughout the tour. That seems to have been a key to his good health, thus avoiding the fate suffered by his namesake. He was shown to the public in the menagerie within a tall mesh enclosure that looked like an aviary. He was often in the backyard being photographed with the likes of clowns. 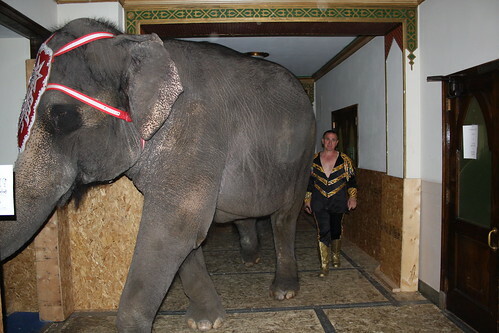 Sometimes, between performances, he was allowed to play in one of the performing wild animal arenas (big cages) in the big top. At season’s end Miss Cunningham took him back to England. 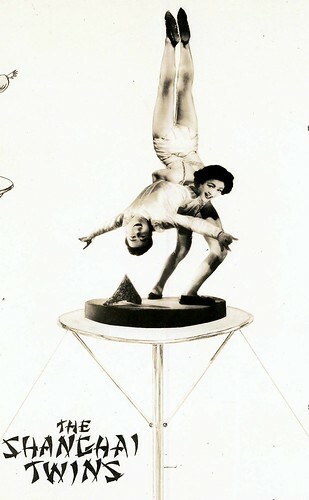 He appeared that following winter (1924-25) with the Bertram Mills winter show in London’s Olympia. 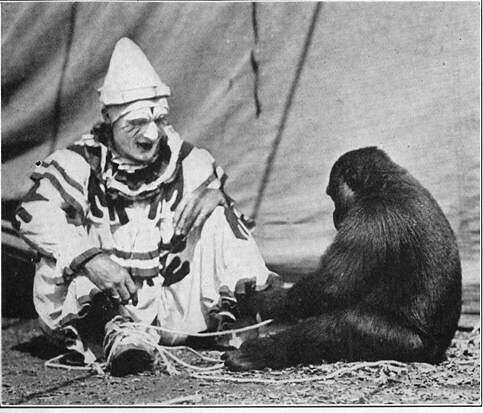 For that he came into the ring on a light lead, marking the first time a gorilla had ever appeared in a circus performance though it does not appear that he did any “tricks” in the circus context of that word. John Daniel II died in London in 1927. 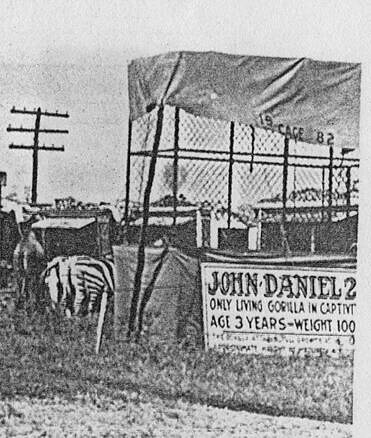 Cole Bros. merely ursurped the John Daniel name for its chimp. At least they did not try to pass him off as a gorilla. 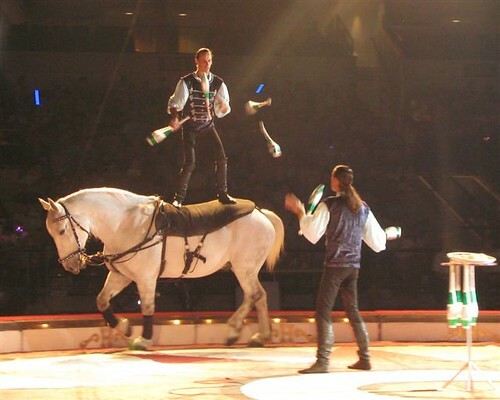 There have been many instances of that in circus history. Scan11614, originally uploaded by bucklesw1. "Mr. & Mrs. Gargantua the Great, most famous gorillas, or any animal for that matter, in the world. 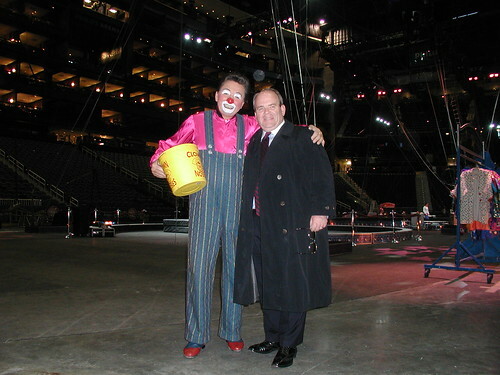 Gargantua and his mate, the former M'Toto of Havana Cuba can be seen with Ringling Bros. and Barnum & Bailey Circus." Scan11612, originally uploaded by bucklesw1. Scan11613, originally uploaded by bucklesw1. Scan11615, originally uploaded by bucklesw1. Scan11611, originally uploaded by bucklesw1. "A rare picture of Gargantua taken when he was at my exact age, 74! 133561, originally uploaded by bucklesw1. ATLANTA . 1 013, originally uploaded by bucklesw1. 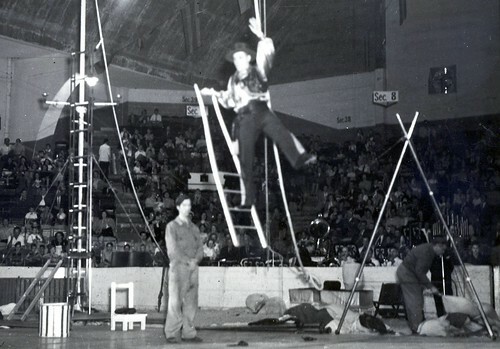 The recent comments made under Thursday’s posting of the NY Times obituary for Tim Holst made me think an apparent hallmark of Ringling talent scouts is an interest in circus history. I met Tim Holst when he was a young ringmaster interested in acquiring some of my duplicate RBBB programs and books. When he became a globetrotter, Tim and I would talk of various circus books published around the world that we both collected. Later, his collecting interests turned to circus stamps but he always relished telling me of how he was given some material by a descendant of James. L. Hutchinson of the Barnum & London partnership. 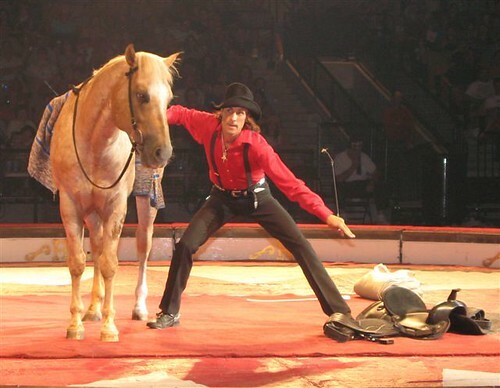 Tim’s immediate predecessor was Trolle Rhodin who had a rich, personal understanding of circus history. In Trolle I found a man filled with great knowledge of acts and show family history and quite knowledgeable about the older, classic European circus books. I was fortunate to spend many hours over the years visiting with Trolle who sometimes would send me a circus history book from Europe. In particular, I remember him re-telling the classic yet tragic account of the circus rider Elvira Madigan, an extraordinary love story made more real because Trolle was related to and knew some of Elvira’s family members who could remember the young circus rider that died in a famous murder-suicide with her lover in 1889. I’ve described Trolle’s early connections with John Ringling North in the comments under Tim’s obituary posted yesterday. 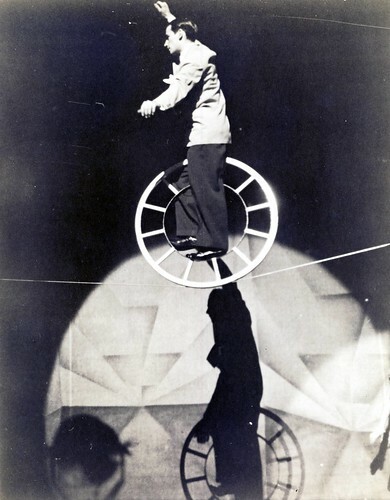 Among the acts Trolle brought over in 1965 was the Hungarian juggler Fudi whose act was on Ringling for several years. Fudi later returned as a performance director and later again (I believe at the behest of Tim Holst) as boss clown. 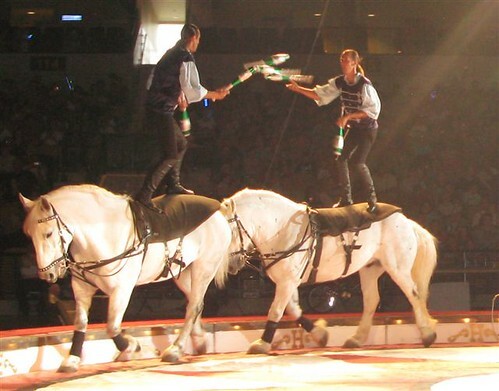 Trolle, Tim, and Fudi have all generously shared their great knowledge of circus acts with me over the years and I can’t image a trio with more knowledge of circus acts than those three. Tim and Fudi are shown here in a photo taken in Feb 2003 in Atlanta. Scan11595, originally uploaded by bucklesw1.